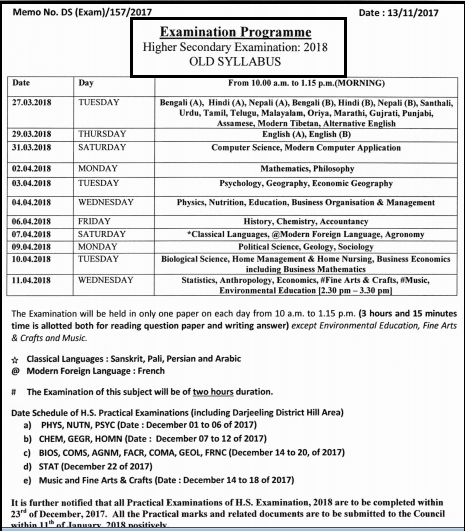 West Bengal Council of Higher Secondary Examination (WBCHSE) Class XI (Eleven) & Higher Secondary (Uccha Madhyamik) (Old & New Syllabus) Examination Routine 2018 download. 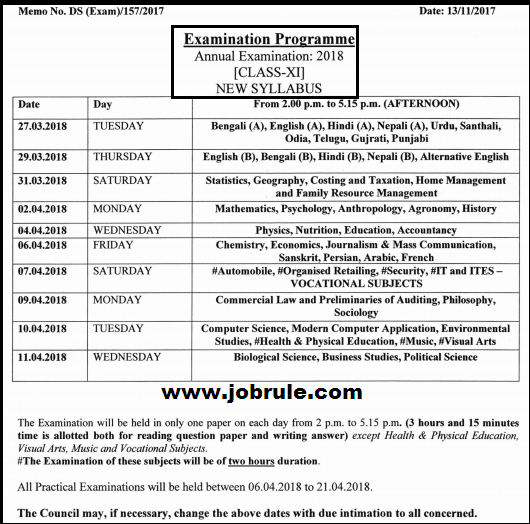 Due to Central CBSE Joint Entrance Examination 2018 ,WBCHSE changed/modified previous WB HS Exam Routine 2018. 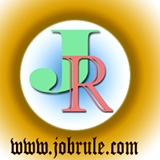 Those candidates who want to view or download WBCHSE HS & Class 11 New Routine/Schedule, simply follow the post. Have a Good Day ! 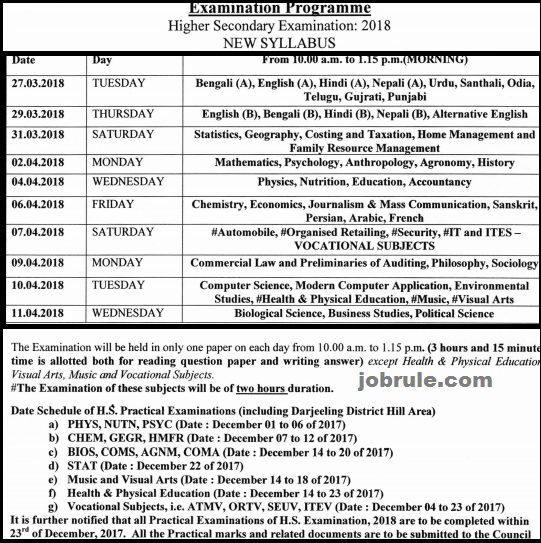 WBCHSE HS Exam Routine 2018 (New & Old Syllabus), WB HS Class XI Routine 2018 , WB HS New/Modified Routine 2018. 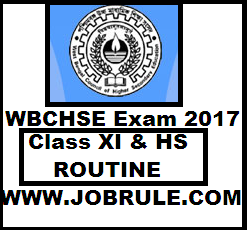 Download WB HS Routine 2018. Best of luck !